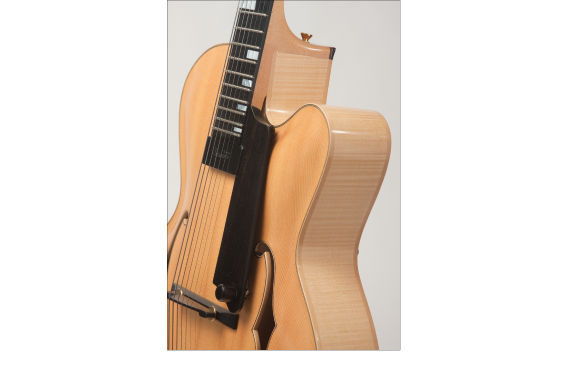 This 7 String Archtop Guitar has a Sitka Spruce top hand-carved Maple back and sides. The fingerboard, tail piece and pick guard are ebony. The Flame Maple back and sides are accented with the Ebony pick guard and tail piece. 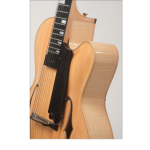 The “Letain” signature inlay is Mother-of-Pearl inset into the Ebony fingerboard.